Adventures of a little girl in an epic world. : IT'S NATIONAL DAY! PROMOS PROMOS PROMOS! Any plans for this upcoming National Day Holiday? Already Friday evening and still brooding about where to CELEBRATE and PARTY on this special occasion? Worry not, I present these exhilarating promotions at these participating outlets to excite YOU and your FRIENDS! Come down now!!! Escape from the crowd and enjoy a blissful evening by the river. 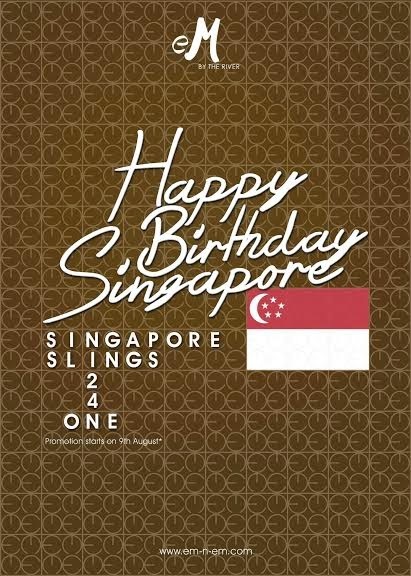 Be special and celebrate this Singapore’s 49th birthday with your loved ones at eM By The River this Saturday. Fancy a night on a beach relaxing away from the mainstream crowd? Come down to Bikini Bar and Coastes this Saturday and enjoy the following. Voted as one of the Singapore’s best rooftop bar, Kinki is an edgy and funky Japanese style restaurant with a newly open rooftop bar. Now they are offering National’s Day Promotion. Please note: By reservations only. Book a staycation at Orchard hotel today and chill away your evening at the Intermezzo bar with the following promotions running for the month of August 2014! Wanna enjoy the gorgeous fireworks while celebrating our nation’s birthday this year? Strategically situated at the One Fullerton whilst away from the crowd, The Pelican Seafood & Grill provides you with a load of breathtaking views packed with fireworks on this awesome night. Indulge in the best view of the fireworks at Overeasy on this National Day. Watch Marina Bay glitters with your family and friends, and spoilt yourself with some comfort food like the legendary Mac & Cheese, The Truffle Burger, or Texas Chili Cheese Fries. Enjoy an OverEasy Spiked Milkshake and other signature cocktails while the skies light up right overhead. Don’t fancy the fireworks? Visit Loof for a National Day celebration with an extra-aromatic satay, Potong ice cream to rekindle the old days and the Great Mama Shop Sale, with locally inspired goodies galore. 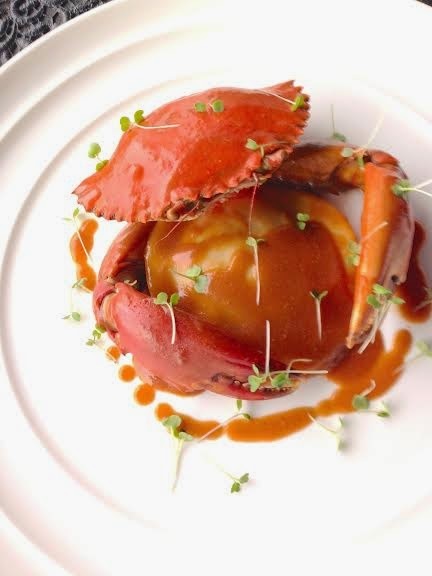 Sip on a Singapore Sour and munch on some local flavor like Chilli Crab Cheese Fries, while the collaboration between DJ Marvin Gold and violinist Cadenza surrounds you with sounds grounded in house and thick with rhythm. Revel alongside fellow cool cats and an almost-forgotten national icon (Hi, Kitty!) for a National Night to remember. 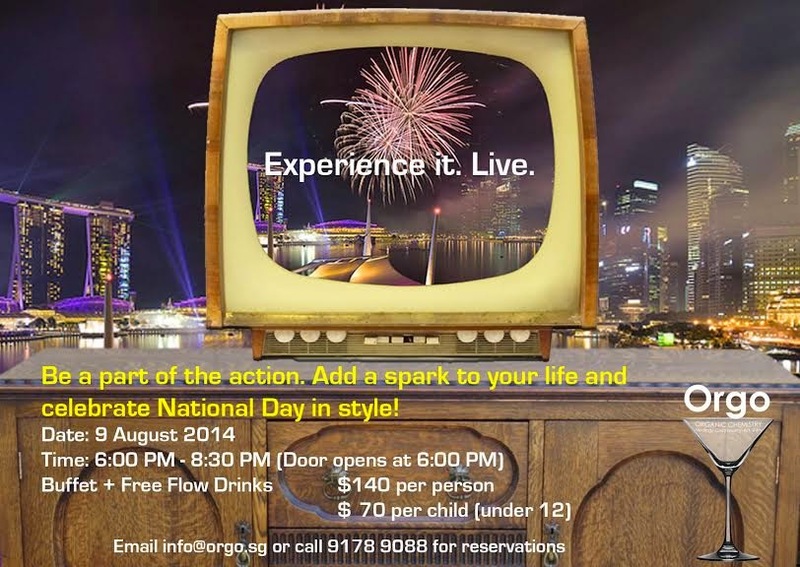 Enjoy the spectacular views of Marina Bay waterfront and indulge in one of the best spots in town to catch our National Day aerial display live, and not forgetting the much-awaited glittery fireworks with Forlino’s National Day buffet dinner. A rooftop restaurant and bar overlooking the amazing skyline of Singapore’s iconic Marina Bay Sands, Orgo serves their happy hour till 8pm daily. On this special occasion of National’s Day, Orgo is also having a promotion as per the following.